My first black and white! I picked a scene that tells the story of light in the springs and the mysterious manatees. 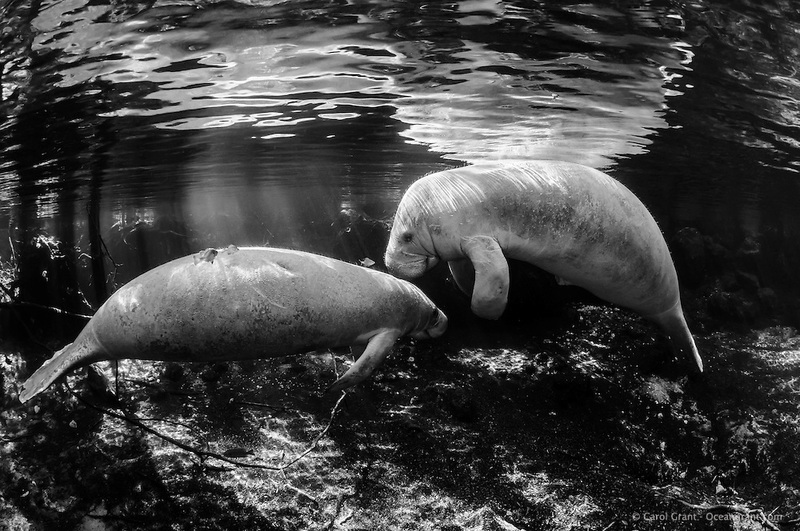 Rather than turning a closeup into a black and white, I wanted my first one to capture an intimate glimpse into manatee lives. Sunfish, bream, (Lepomis spp.) are present. Florida manatee (Trichechus manatus latirostris). Endangered. Three Sisters Springs, Crystal River National Wildlife Refuge, Florida.